Thanks to everyone who submitted videos for our contest. Making our video was a very fun and educational experience. We did a lot of research and created a lasting memory. My video is about me, a teenager who recently discovered that I have ADHD. 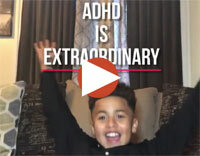 Nine year old, Giuliana, sets the record straight about the wonderful traits many people with ADHD have and why we love them. I listed some strengths and weaknesses of my ADHD and how I manage all of them. My life changed for the better since finding out I have inattentive ADHD. I want other girls to not fear to get help too. Breaking News: ADHDers have mini slot machines in their heads...! The video shows the (daily) struggle of a person with ADHD trying to start some important work. And failing. After years of trying to fix my ADHD skill deficits I have decided to focus on my strengths! When a parent-child conflict is ramping up, job ONE is to Self Regulate. Yelling louder isn't good for long term results. Paying attention to three important insights to mindset, motivation, and environment for those with ADHD. 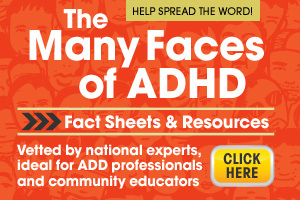 What's one of the best, and yet rarely recognized or discussed, ADHD management tools? Ongoing creative outlets. How Do You Fare on These 3 Indicators of ADHD? Melissa Orlov, marriage consultant of ADHDMarriage.com, invites you to see if her 3 potential indicators of ADHD apply to you. View all the videos one at a time here.